One of the pioneers of the open source movement has joined the Canadian Channel Chiefs Council (C4) as a corporate member. After successfully building the C4 Board of Directors, the council has been welcoming new corporate members, and SUSE, an enterprise open source company that provides software-defined infrastructure and application delivery solutions, saw the value. 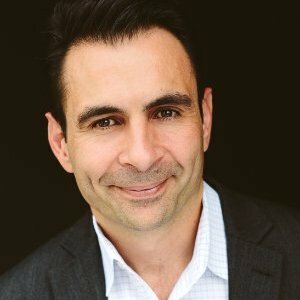 “As I build out SUSE’s channel model, it’s great to have a resource such as the C4 to collaborate with, and I look forward to working with these great leaders in the channel,” Silvestre said. This year marks a very significant year for SUSE as the company will be celebrating its 25th anniversary. The company has developed software-defined solutions so that enterprises gain greater control and flexibility. C4 President Corinne Sharp says she looks forward to working closely with Silvestre as part of ongoing council activities, such as the annual general meeting slated for April. “As a Channel Chief, I have a pretty good understanding of what SUSE is trying to do. Becoming a corporate member is a great way to gain insight from several experienced channel professionals on the C4 board who are only too willing to help out,” Sharp said. Coming out of the open source community in the early nineties, SUSE has a fascinating journey in becoming a provider of products and support that help customers manage complexity, reduce cost, and deliver mission-critical services. 2014: U.K.-based multinational Micro Focus International acquires The Attachmate Group with SUSE and run them as an independent organization. Micro Focus, at the time, also acquired Cobalt Technologies and the software business from HPE. Silvestre said SUSE is a growth engine for Micro Focus and has 1,200 employees worldwide. Silvestre is on his own channel journey with SUSE. He has been tasked to build a partner ecosystem for the company. SUSE is a partner focused company worldwide and they already have strong alliances with many hardware vendors such as C4 board member Cisco Systems. “We are trying to work with them to create awareness of the value we offer to customers. I want to go out and bring that message to the partner community and identify key partners to work with,” Silvestre added. SUSE will be attempting to do something radically new with its channel strategy. Usually, most vendors build a channel program based on revenue targets. SUSE is going to base its plan on solution provider certification and reward those partners with margin bonuses; basically, on how competent they are. Silvestre plans to be an active participant in the C4 and is looking to learn more about all of the council’s new programs and accreditation along with sharing his ideas with other members. For more on SUSE, check out their Web site at WWW.SUSE.COM.